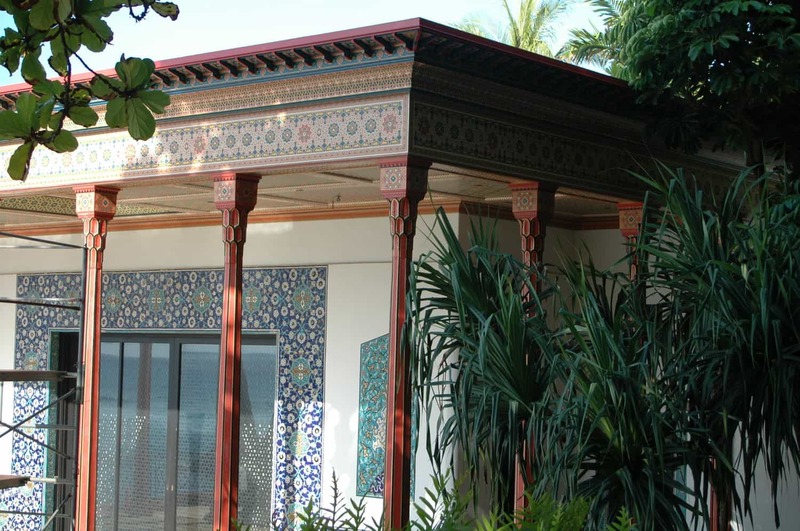 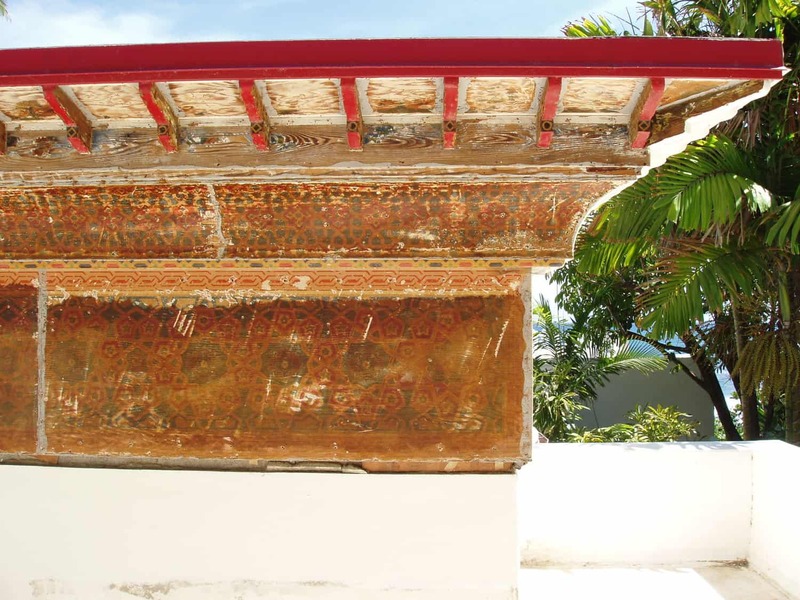 Doris Duke’s Shangri La | John Canning & Co.
Shangri-La was commissioned by Doris Duke in the 1930s as a private residence and a showcase for her extensive collection of architectural elements and art from the Middle East. The Playhouse was modeled on the Chihil Sutun, a royal pavilion built in 1647 in Isfahan, Iran. 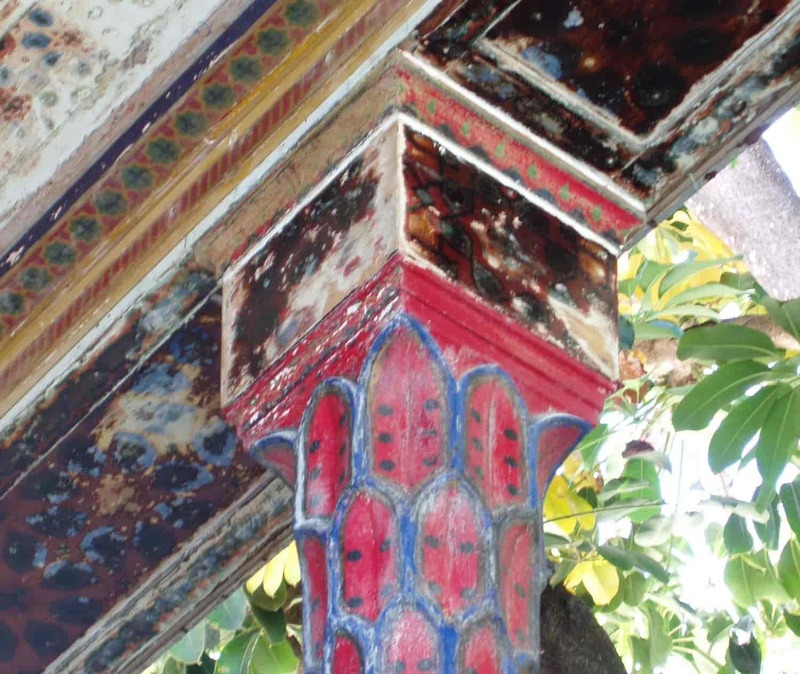 The original Playhouse decoration was stenciled directly onto the wood columns, moldings, panels, and architectural details. 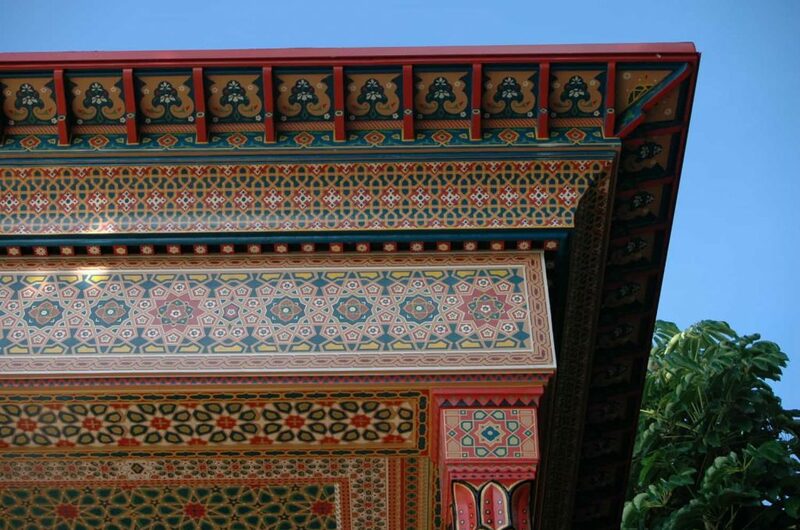 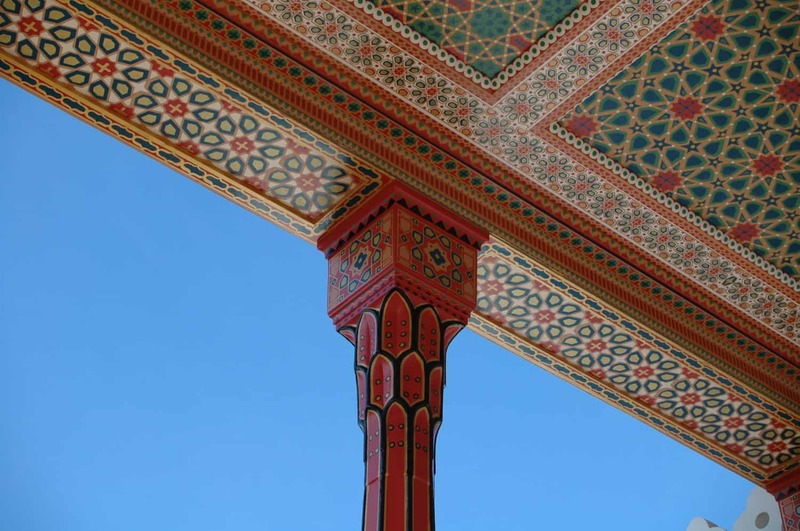 For the restoration, Canning Co. re-created over thirty classic Islamic patterns of painted decoration, with up to seven separate stencil plates for each design. 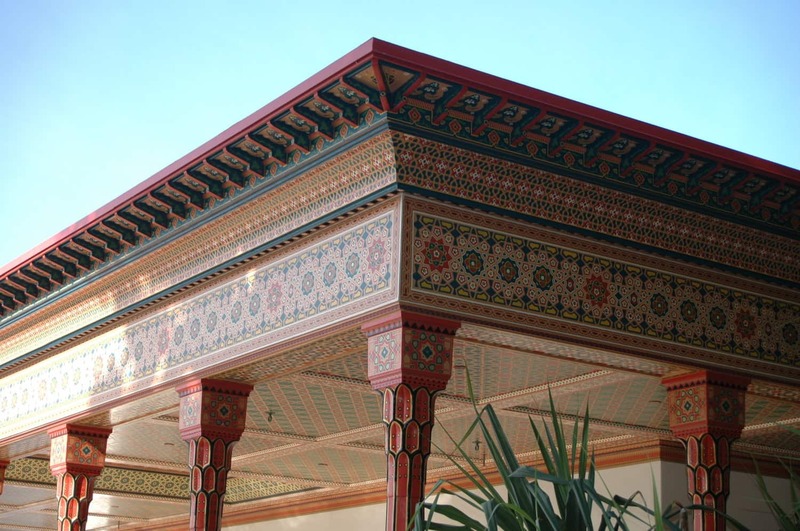 We formulated solutions that would stand up to the environment and conserve the original materials, balancing modern materials with traditional craft. 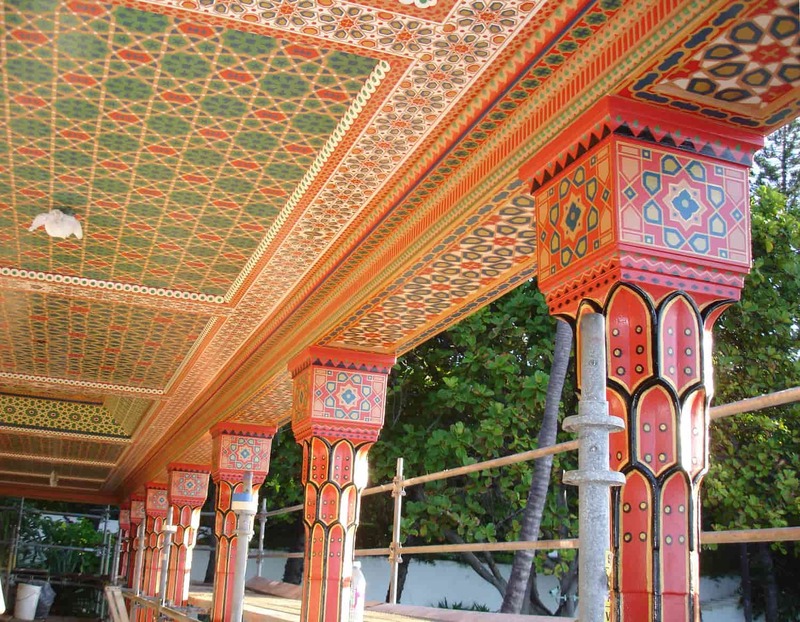 2007 Honor Award for Historic Preservation, Historic Hawaii Foundation.